Preferred format: This teaching activity is probably more suitable to small groups. Exercise time: This discussion activity will probably run 15 to 20 minutes. This activity is based on a local regional bank that was become a little old-fashioned and behind the times. Their plan is to adopt a more modern image, whilst maintaining their strengths of being local and caring about their customers. New Target Market = New Marketing Mix? In this activity, you will assess the extent of group influence across various purchase decisions. Listed below is a series of situations that you may be exposed to. Your task is to determine, given the particular situations, what you are most likely to do. There are number of different learning theories. In the following short case study, the firm is considering four promotional approaches. 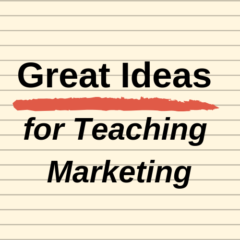 Each of their promotional approaches relies on a different learning theory. Can you identify what they are and how to use them? Perception – Which Ad is Best? There are various theories of motivation listed in textbooks. For this activity, you need to identify different ways of motivating consumers to buy a mobile phone and to visit a particular restaurant. To help you with this activity, an example has already been provided for you.